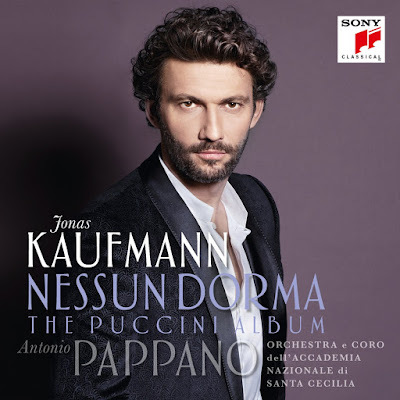 I have been listening to interviews of Jonas Kaufmann after his concert at La Scala Milan. He reports that after the last number there was 40 minutes of applause. In Italy. At La Scala. For a German tenor singing Puccini. What an amazing honor. Congratulations, Herr Kaufmann. Nessun dorma the CD has arrived, and I like it very much. He has included at least one number from each of Puccini's operas except Suor Angelica. That would be difficult. Puccini always sounds like himself. I generally prefer the live versions of Jonas, but this is excellent.